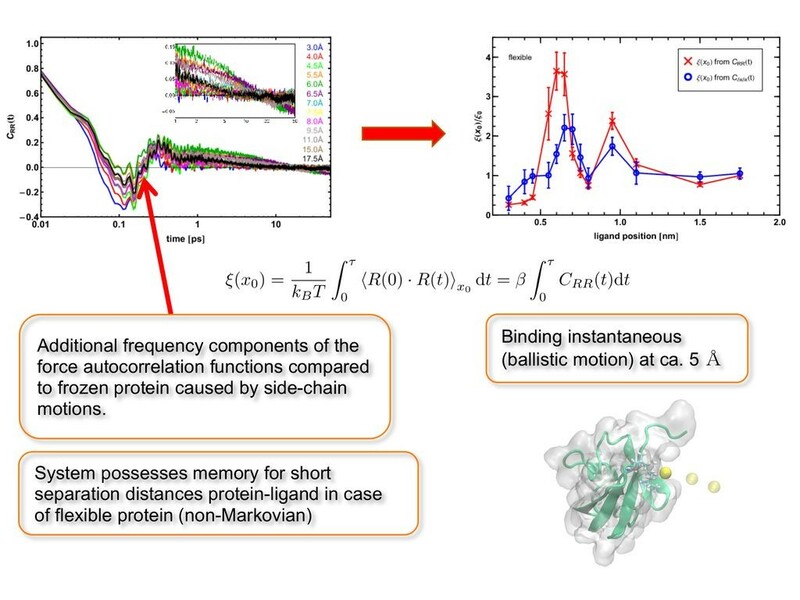 We used classical atomistic molecular dynamics (MD) simulations to investigate how and to what extend collective protein-water motions affect the dynamics of ligand binding to a biomolecular surface. Therefore, the free energy surface (i.e. 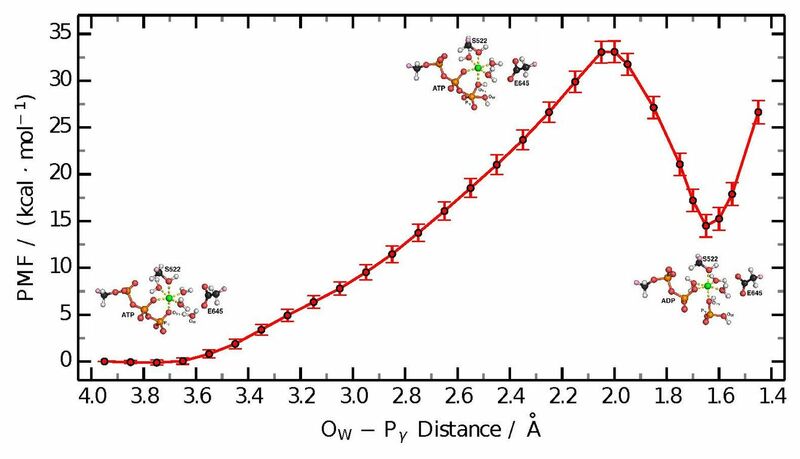 potential of mean force, PMF) along the reaction coordinate was determined via Umbrella Sampling and based on that we obtained static one-body friction/diffusion profiles of the ligand along the reaction coordinate. The reaction coordinate was defined as the distance between the hydrophobic patch of ubiquitin and the ligand (LJ-spere). We could show that dynamics of the ligand are affected both by the binding affinity in terms of the PMF as well as by internal motions of the protein. 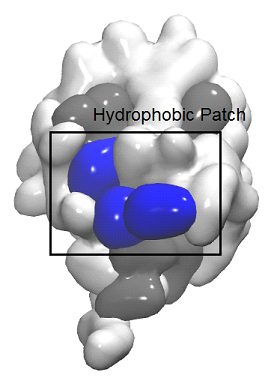 Furthermore, the ligand couples to solvent fluctuations in the vicinity of the hydrophobic binding patch of ubiquitin. After finishing his iMOS Master’s thesis Christopher Päslack started his PhD research in the group of Prof. Lars Schäfer. In the final semester of my iMOS studies, Dr. Jörg Behler from the theoretical chemistry department accepted to supervise my master thesis. 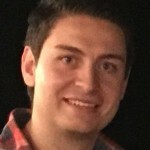 Dr. Behler’s lab specializes in modelling reactive potential energy surfaces (PES) based on neural networks for describing molecular, bulk, and interfacial systems. Such a potential will provide maximum accuracy and efficiency in molecular dynamics (MD) simulations when fitted to the high level quantum chemical data. My project was to develop one such potential for protonated water clusters, which are important model systems in studying proton transfer mechanisms in general. 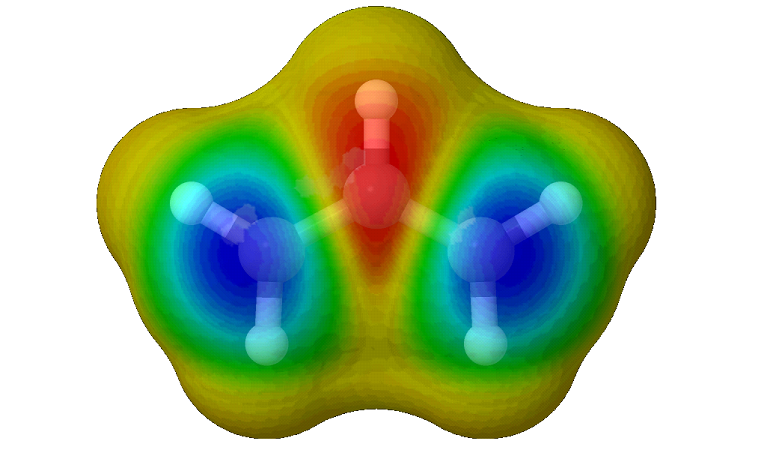 I started with sampling the configurational space of the protoned water clusters from monomer (with one water molecule and a proton) to octamer (eight water molecule with a proton) using stochastic search. Energy and forces acting on these sampled molecular structures were computed with density functional theory (DFT) and it is to these data the neural networks are fitted. 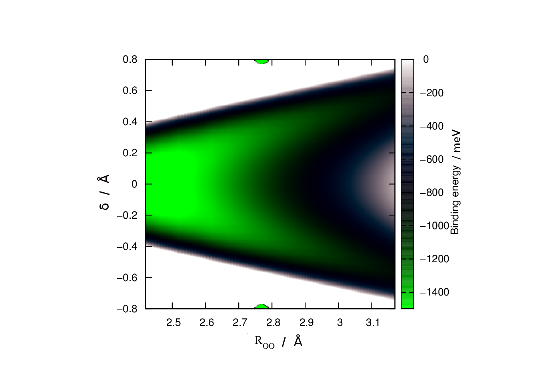 Contour plot of protonated water dimer showing the evolution of a double minimum configuration. MD simulations were carried out with the preliminary potential in order to sample additional conformations missed in the earlier stochastic sampling. These structures were added to the data set and the potential is refitted in order to improve reliability of the potential. Once a reliable potential was obtained that provided negligible error in the predicted energies and forces compared to the DFT values, it was ready for further analysis and MD simulations. 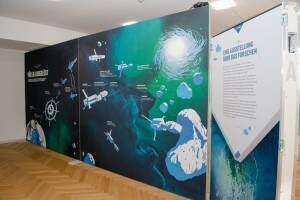 The completed potential was then used to find the minimum energy structures, harmonic frequencies, proton transfer mechanisms and transition pathways between different minima of protonated water clusters as detailed in my thesis. After finishing his iMOS Master’s Thesis Suresh Natarajan started his PhD research in the research group of Dr. Jörg Behler. Adenosine triphosphate (ATP) is the energy currency molecule in the cell, and its hydrolysis is one of the most fundamental chemical reactions in biological systems. One example of a protein family that requires ATP binding and hydrolysis for function are the ATP-binding cassette transporters (TAP). In order to study the ATP hydrolysis inside TAP, a hybrid quantum mechanics / molecular mechanics (QM/MM) approach was used to describe the hydrolysis reaction by means of density functional theory (DFT) and the rest of the system by means of a classical force field. Potential of Mean Force (PMF) along the associative reaction coordinate. All examined mechanisms (associative, dissociative, concerted, glutamate-catalyzed and histidine-catalyzed) failed to capture the exothermicity of ATP hydrolysis, in line with previous QM/MM studies. Due to computational costs, only one water molecule was included in the QM subsystem for the nucleophilic attack, excluding a possible mechanism involving proton wires with several waters. Therefore, including more water molecules in the QM subsystem could provide a more realistic picture and hence, could help in understanding the power stroke of ABC transporters. Hendrik Göddeke was born in Meschede and holds a BSc in Molecular Biology with a focus on Bioinformatics from Westphalian University Gelsenkirchen. He then moved to Bochum for iMOS. The international course was carried out in the Tobias lab at UC Irvine. 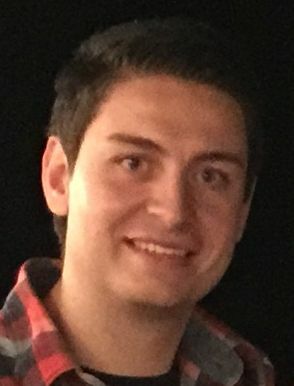 He finished iMOS in September 2015 and is now doing his PhD in the Schäfer group.